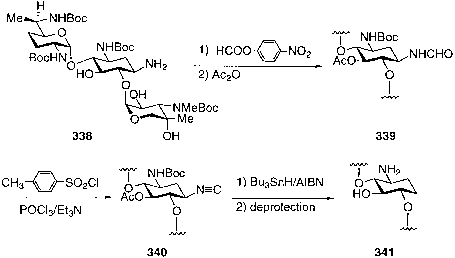 326-333 ); the mechanism was selective degradation of the 1,2',3,6'-tetra-jV-acetyl-sisomicin (332) by periodate oxidation , and it was used, as well, for syntheses of sisomicins B and D and 5"-C-methylsisomicin B by the Koenigs-Knorr glyco-sylation method with appropriately protected glycosyl halides . proceeds through the oxazolidinone intermediate 335, which after deprotection affords the title compound 336  (compounds 334-337 ). Philippe et al. reported the use of a quinic acid derived cyclic y-amino-a-hydroxy acid related to the 1-jV-4-amino-2-hydroxybutyric acid (AHBA) to prepare a 1-N-acyl derivative of gentamicin C1a (compound 337). This new antibiotic showed less activity than gentamicin C1a against gentamicin-sensitive gram-negative organisms, but it was more active against gentamicin-resistant bacteria. To probe the role of the 1-amino group in aminocyclitol antibiotics, the same group used the sequence of reactions outlined below to prepare the 1-deaminogen-tamicin C2 derivative 341. 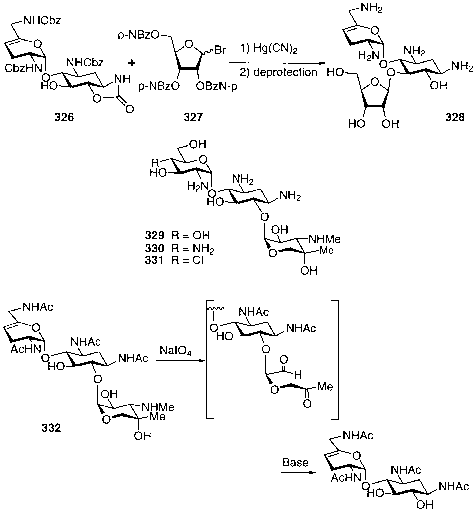 The free amino group of the protected gentamicin C2 derivative 338 at position 1 was formylated with ^-nitrophenyl formate to give 339 and dehydrated to isocyanide 340 in the presence of ^-toluenesulfonyl chloride, and then phosphorus oxychloride and triethylamine. This compound was finally converted to the deamino derivative 341 (compounds 338-341) by reduction with the tributyltin hydride-AIBN procedure, followed by deprotection. The deaminated analog was neither a substrate nor an inhibitor for resistance enzymes, indicating that the 1-amino group is both essential for antibacterial activity and binding to the ribosomes . Zn(OAc)2 • 2H2O was used in methanol for selective acetylation with Ac2O and Et3N in THF, followed by decomplexation with NH3-EtOH solution and ethylation with NaBH(OAc)3 in AcOH-CHCl3 . 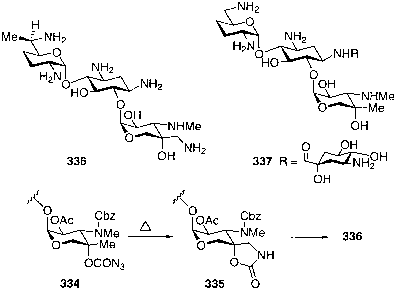 The keto moiety of spectinomycin 342 has been converted to an amino group via a hydroxyl intermediate, leading to the (S) isomer 343 , or through reduction of its oxime, resulting in both (S) and (R) isomers 343 and 344 (compounds 342-344 ), respectively. The (R) epimer 344 exhibited activity comparable to that of spectinomycin, but the (S) epimer 343 showed no activity . A number of 3'-N-acetylated and 3'-N-alkylated derivatives were prepared from the active isomer 344 and tested for antibacterial activity. Some of these analogs showed improved activity, and the most active analog, the V-ethyl derivative, was superior to spectinomycin in terms of activity and toxicity . a-Keto rearrangement of the N-protected spectinomycin 345 to the a-hydroxyl lactone 346 in the presence of bis(tributyltin) oxide and bromine or mild acid was reported by Hanessian and Roy . This product (compound 347), which is related to spectinoic acid, was further degraded to 6-deoxy-d-isosaccharino-1,4-lactone 348 (compounds 345-348 ) by methonolysis (3% MeOH-HCl). Partially and fully N-demethylated spectinomycin analogs were also prepared by using oxygen on platinum black for catalytic N-demethylation. However, the resulting products showed reduced or no antibacterial activity . A series of 6'-alkylated spectinomycin analogs (compound 349), synthesized by White et al. 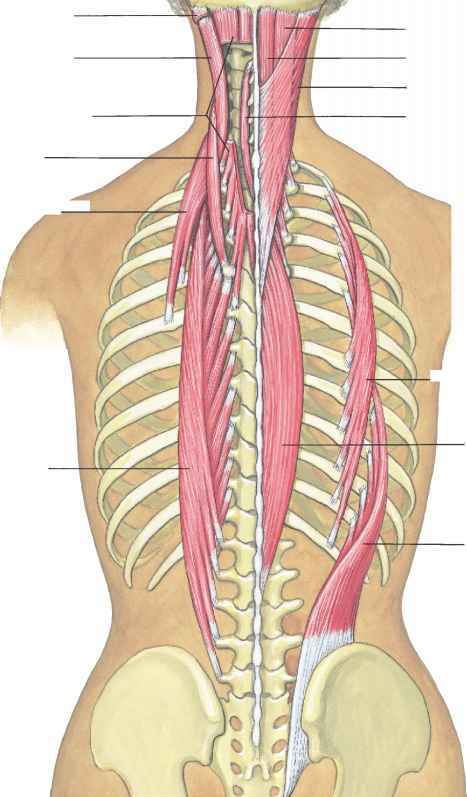 , showed an increase of activity with increasing of the lipo-philicity of the antibiotic.